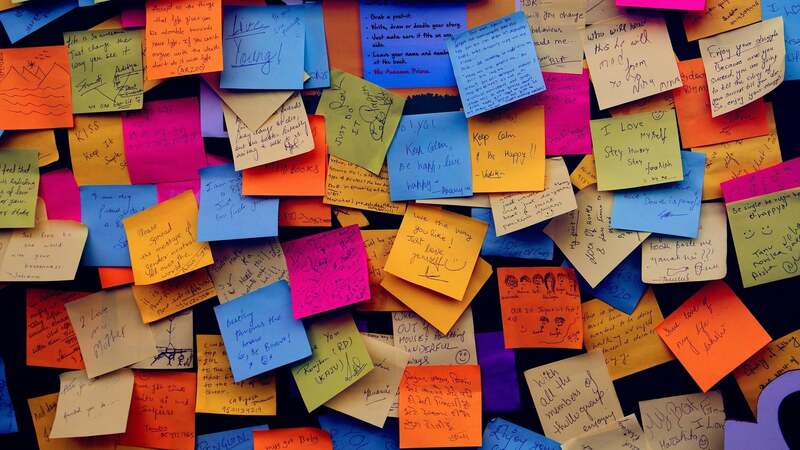 If you're determined to get your life in order in 2018, all you need is a Sharpie, some Post-It notes, a blank wall, and an hour or two of free time. I first performed a "life audit" two years ago after reading this Medium post by Ximena Vengoechea. A writer and illustrator, Vengoechea detailed why it was important to take time to check in with yourself occasionally. "How are we doing? Where are we going? What's important now that perhaps wasn't before?" she writes. She used a life audit to figure it out. First, write down every goal, great hope and life necessity on a different Post-It note (such as get a new job, win an award, or live near the ocean). Second, organise the Post-Its by category (such as health, family, career and so on) as themes start to emerge. Third, organise by time (how long it will take to accomplish/check-off each Post-It). I did another one at the tail-end of 2017 when I realised I wasn't progressing in life - in work, in my writing, in relationships - nearly as much as I would like. And nothing has helped me focus more on what I want to accomplish than Vengoechea's system. Vengoechea suggests aiming to fill out 100 post-it notes in one hour. For me, it was more useful to spend an entire evening after work ruminating over my goals and ambitions (a little wine helped me get more creative as the evening passed), and I ended up with around 120 notes, which is more than I thought I'd be able to come up with. 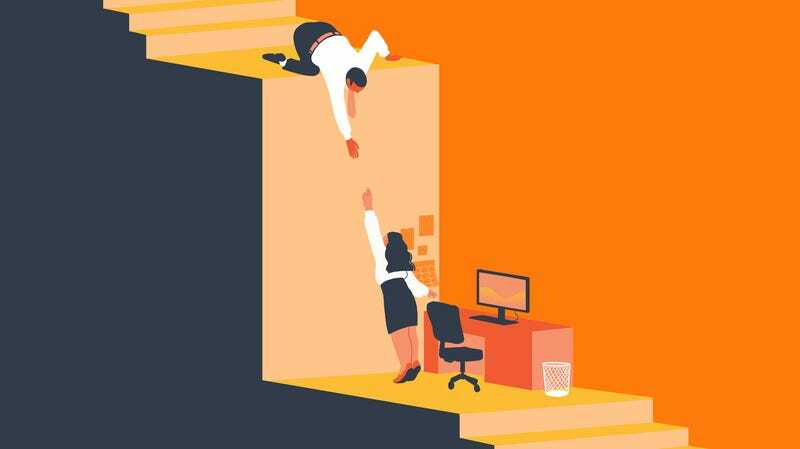 They ranged from the concrete, such as "make a website" and "write a book review", to the abstract, such as "be generous" and "be less serious". Obviously, it isn't a revolutionary system - the point, I think, is the deliberation. You are specifically setting aside some time to think about yourself, your future and how you get there. What's really beneficial about this system is that it's analogue. You're thinking about your goals and writing them down on physical sheets, which you can then hang in your bedroom or office (or wherever) and see everyday. You're (hopefully) not going to be distracted or influenced by Twitter or Instagram when you're writing down what's important to you. But after I had my collection of goals hanging on the back of my bedroom door, I found adding a digital element was really helpful. I then grouped all of the same-coloured tags together in each column. Obviously, this won't work for everyone - you can add whichever columns and tags are most useful to you. But I've found this system lets me focus on the short term while still keeping my long term goals in the periphery. Vengoechea goes into more detail about the next steps she took - specifically, how to accomplish the goals and what people were influencing her. What life do I want? In five, 10, 40 years? What do I consider essential? What does "meaningful" mean to me? What makes me feel most satisfied at work? When do I feel the most energised? When do I feel the most successful? What people do I admire, and why? Do I enjoy spending time with the people I currently spend time with? Writing in my journal concurrently also helped me expand what I actually wanted to achieve, why I had certain goals, and how I would accomplish them. And it gave me more ideas for Post-Its. It also made me realise what I didn't have written down, at least not currently - which is settling down. I didn't have many "traditional" goals, such as buying a house or having a lavish wedding. Does that mean they don't matter to me, or they just don't matter right now? Is this the right system to consider those kinds of milestones? More to think about. Ultimately, the life audit was a helpful jumping-off point to further reflection and real change. I've already moved a few goals to my "Completed" column on Trello, including getting a new job and making that website, which had been on my mental to-do list for, no exaggeration, years. Maybe it will help you in 2018.